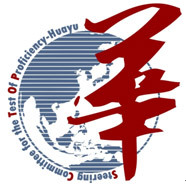 The Steering Committee for the Test Of Proficiency-Huayu (SC-TOP) was established in November 2005 under the direction of the Ministry of Education of R.O.C. Originally “Chinese Language Testing Center” and renamed in January, 2007, the Committee aims to develop and promote an effective Chinese assessment system, mainly the Test of Chinese as a Foreign Language (TOCFL), for Chinese learners worldwide to assess their Chinese proficiency. The new HSK test was launched by Hanban in an effort to better serve Chinese language learners. The test is the result of coordinated efforts by the experts from different disciplines including Chinese language teaching, linguistics, psychology and educational measurement. The new exam combines the advantages of the original HSK while taking into consideration the recent trends in Chinese language training by conducting surveys and making use of the latest findings in international language testing.